Go to Purchase History menu. 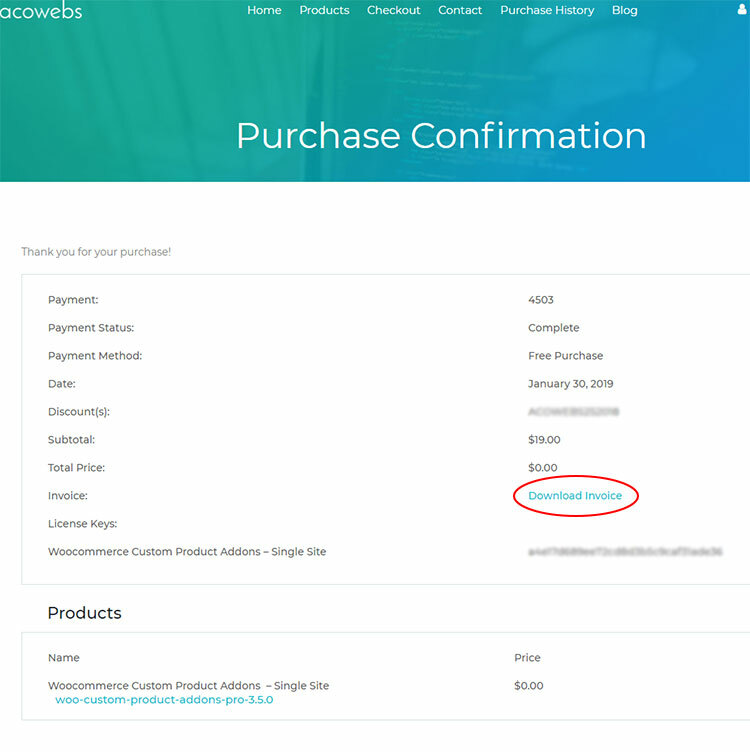 Click on the purchase confirmation link and you will redirect to Purchase Confirmation page. Now you can download the invoice by clicking on Download Invoice link as shown in the screenshot.